How often do you find a game that is actually addictive? Meaning a game in which you actually find it hard to put your device down? I'm not quite sure what your answer is, but we've found that with Dominoes Merge: Block puzzle. A game of Dominoes that is anything but. The premise is very simple. Your job is to link up three Dominoes so that those with the same number displayed touch another. While Dominoes of course have two numbers, one on each side, each section of the Domino is considered a "block" (hence "Block Puzzle). Once three of these blocks line up so that the same number touches one another, the boom, the blocks disappear and points are gained. In the beginning of each game play, full Dominoes appear. To allow Dominoes to be placed adjacently so like-blocks touch one another, you have the ability to change the orientation of each one that appears. Simply tap the Domino to change the orientation. As expected, not every Domino will have the number you want. In this case, your expected to do your best to place each item accordingly along the grid so the board doesn't fill up. Once the grid fills up, you're out of luck and the game ends! Do your best to prevent the board from filling up! That in itself makes the game so addictive. Since just about everyone has experience with Dominoes and since the gameplay and objective are both so easy, not only could we not get enough, we imagined that just about anyone from 4-104 would feel exactly the same. We did find ourselves wanting a timed mode just to up the ante a little bit. 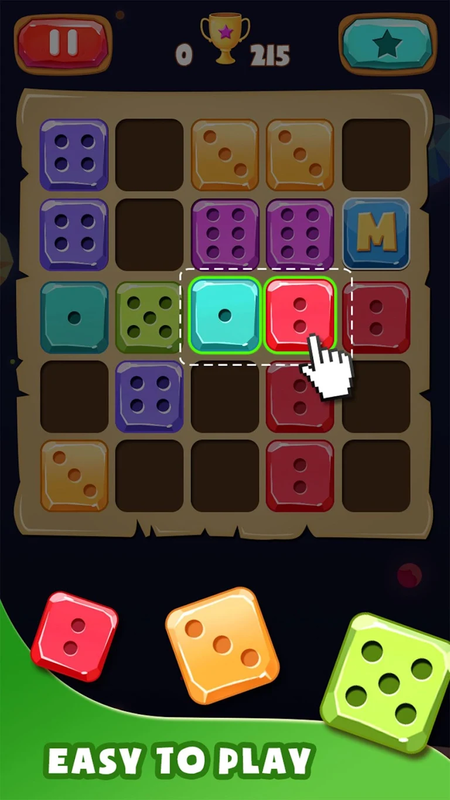 Other than that with colorful graphics and a premise which is so easy to get, Dominoes Merge: Block Puzzle is a winner for anyone with an iOS or Android device.